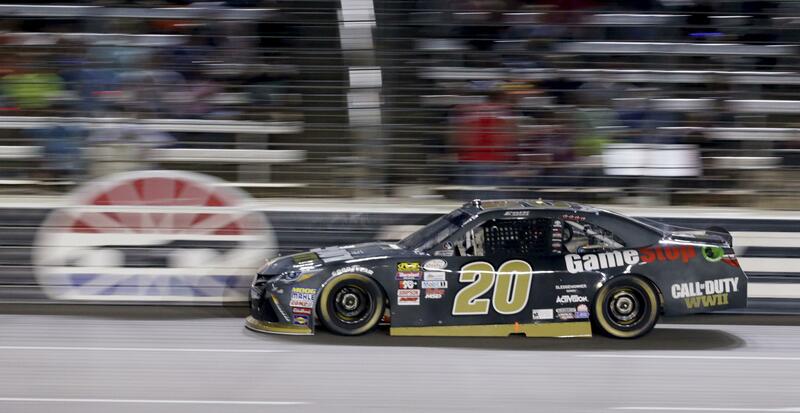 Sat., Nov. 4, 2017, 8:42 p.m.
FORT WORTH, Texas – Erik Jones cruised to a Texas season sweep in the NASCAR Xfinity Series on Saturday night, holding off fellow Cup driver Ryan Blaney while the championship spots remained up for grabs with one race left to set the field for the final four. Jones led 137 of 200 laps on the 1.5-mile Texas track after qualifying on the pole a couple of hours before the race. He has three Xfinity wins this season, the first two coming back-to-back in the spring at Texas and Bristol, Tennessee. It was also Jones’ third Xfinity win in Texas. Elliott Sadler was the top finisher among the playoff contenders, taking fourth, one spot ahead of fellow playoff driver Cole Custer. Sadler moved from third to first in the point standings, five ahead of William Byron, who took ninth. Justin Allgaier, the points leader coming in, finished 11th and dropped to third in points. The championship field for the finale at Homestead will be set next week in Phoenix. Jones’ Xfinity sweep was the first at Texas since Kyle Busch in 2009. Published: Nov. 4, 2017, 8:42 p.m.